The U.S. Navy issued a written testimony to the Senate Armed Services Committee stating plans to integrate multi-domain capabilities into its next-generation offensive missiles, USNI News reported Monday. The Navy’s Offensive Missile Strategy succeeds the Cruise Missile Strategy and includes non-nuclear offensive strike missiles with a capacity of over 50 nautical miles. 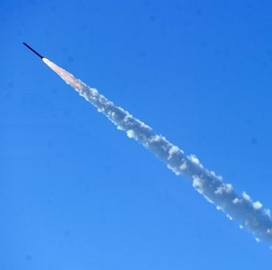 The service plans to implement a three-pronged approach to the program which involves the sustainment of weapon systems, procurement of updated capabilities and development of modernized strike missile technologies. 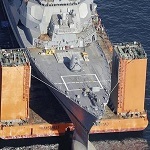 “The OMS construct supports a wider, more systematic approach towards delivering a capabilities balance to increase overall force effectiveness to address emerging threats,” according to the testimony. Technologies covered by the OMS framework will include Offensive Anti-Surface Warfare and Next Generation Land Attack Weapon capabilities. The fiscal 2020 budget proposal requests $143.2 million for the Navy's weapons procurement efforts and $386.7 million for the purchase of missiles and related systems.